Prayer is one of the pillars of how we ought to live in Lent. Almsgiving and fasting are the other two pillars. The Church invites us to pray more in Lent because prayer enables us to enter more deeply into relationship with God. In prayer, God can change our lives around. We should aspire for this hope in Lent. “Our prayer doesn’t change God. God does not change. Our prayer changes us instead. God changes things through our prayer. In calling us to prayer, God changes us. One way God does this is by extending to us “the dignity of being causes”. That is, we become the causes of God’s goodness in the world. In this way, we enter into cooperation with God to bring about God’s plan for the world. This is how we become actors of God’s plan to save all. God wants the goodness of God’s love and life to be shared in the world with all, but God needs us to do this. 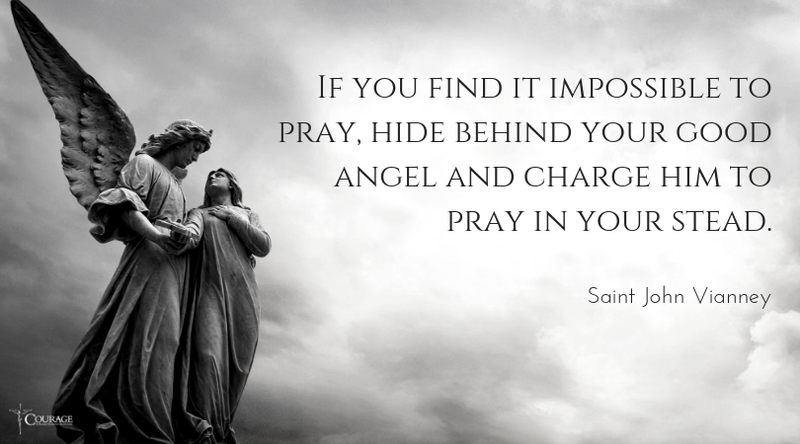 What do you pray most often for? Why? Is your prayer changing you, especially to become “the cause of God’s plan” in the world? Can you describe how prayer is changing you? In your prayer, what is God saying to you as a person with SSA about who you are to God? Who then is this God for you?